We have had a super busy and crazy month with lots of sickness thrown in the mix. So, we ran out of time to do anything new for this topic. 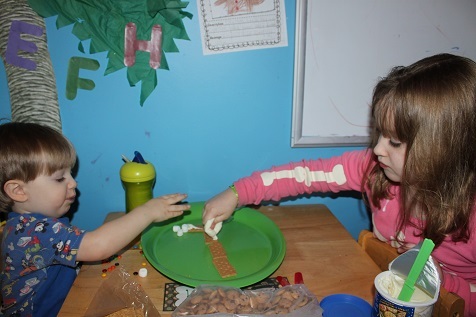 But, I decided to share some of the activities we have done from one of our favorite books. 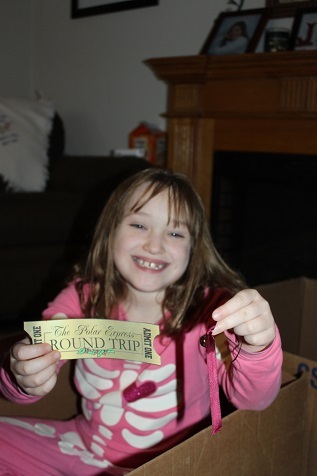 We used “The Polar Express” by Chris Van Allsburg back in December to do a bunch of fun activities. I hope you don’t mind me sharing Christmas related activities in April Hopefully you can just pin these ideas and use them at Christmas time. Of course, we read the book- actually we listened to the CD of the book. 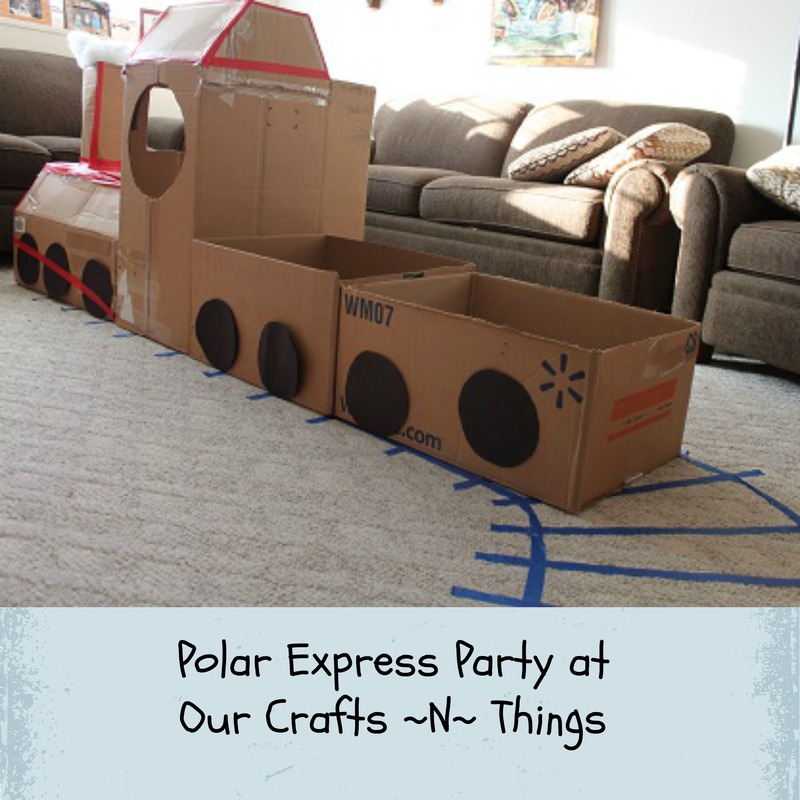 Then we had a great time making some Polar Express trains. 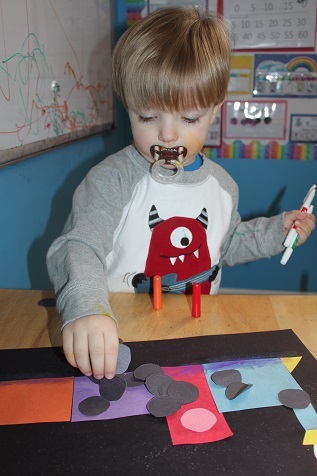 Hunter made a train using different shapes. He also sprinkled glitter on his paper. While that was not exactly planned (ha!) it looked like falling snow. 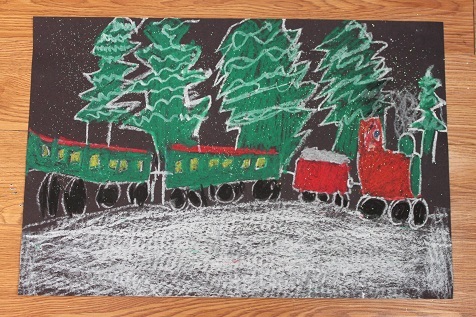 Hailey used oil pastels to draw a train. She colored it in using Christmas colors. 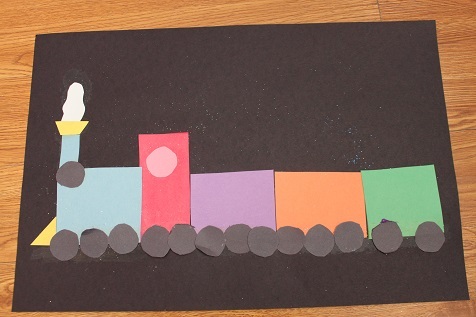 Hailey’s finished train. 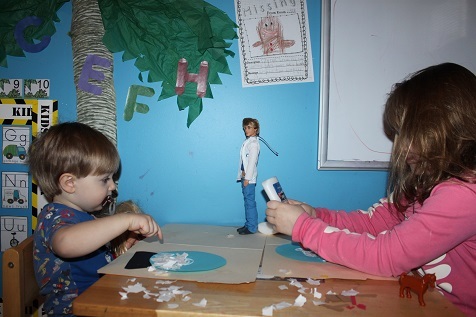 She also sprinkled glitter on her paper to look like snow. She didn’t use glue, she just sprinkled it on and it looks great. To finish off our Polar Express theme we had a party at the end of the week. I used painter’s tape to make a railroad track on the floor. 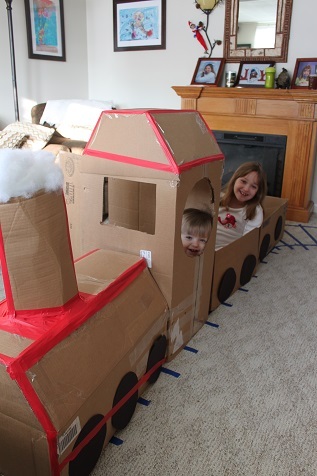 We used some cardboard boxes from some of my online shopping to build a train. Hunter and Hailey sitting in the train. 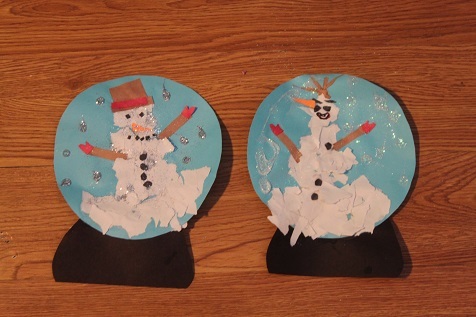 Hailey decided to make her snowman look like Olaf from Frozen. They turned out cute. 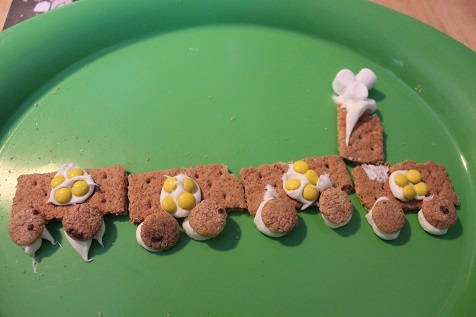 Then they made a little graham cracker train. Then it was movie time! Hunter and Hailey took their seats in our train. Then I passed out hot chocolate and popcorn while they watched the movie. It was a super fun day! Poppins Book Nook Giveaway! Every month the Poppins Book Nook group will be offering readers a chance to win a brand new storybook or product that ties in with our theme for the month. 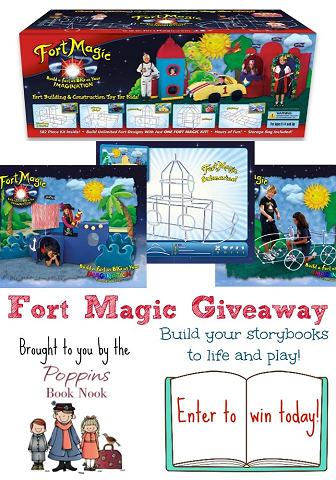 This month one lucky entrant will win a Fort Magic Kit! 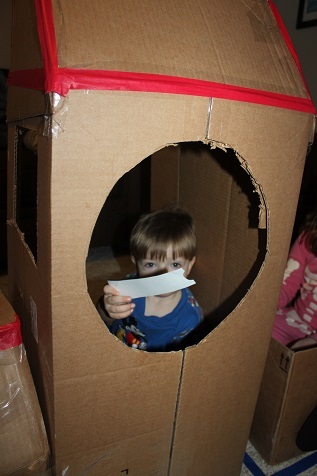 With Fort Magic you can bring all of the planes, trains, automobiles, and anything else your child can think of from your storybooks to life to interact with, play with, and make reading fun. 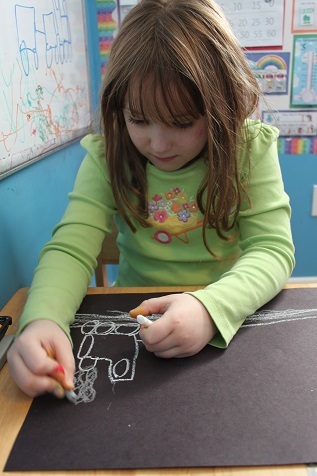 The possibilities are only limited by your child’s imagination. Jump into a world of books today with Fort Magic! You can read a review of Fort Magic HERE. Wow! Looks like you had a great time! 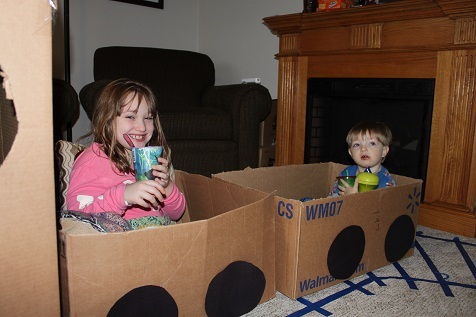 Our boys would love to build a big cardboard box train! Wow!! What a great way to bring the story to life. I am amazed at your cardboard box train; I wanna come play! Ha! My kiddos would love that! And your train snack looks yummy, too! 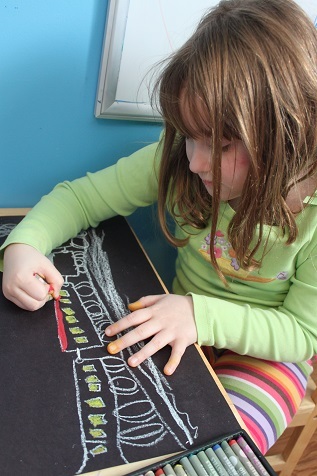 The cardboard train is great, but I love the oil pastel train as well! It looks like you guys had a ton of fun with this! 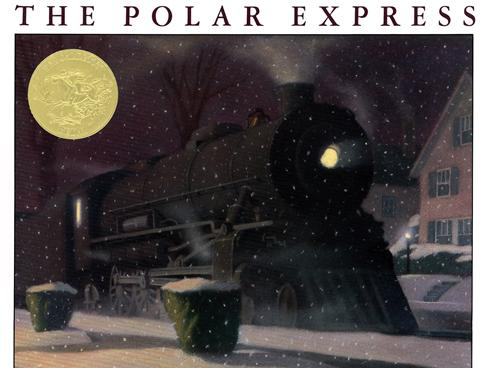 The Polar Express is a great book to read at anytime of the year! I am so saving this one for my Christmas plans with the kids for this year. Thank you for sharing this one!